Jose Mourinho celebrates his first Champions League Victory. When it comes to modern football, Jose Mourinho is one of the best managers to have graced the game. Even though his managerial style is not appreciated by many people because of his defensive tactics and his game management, but one cannot deny that he is one of the most entertaining personalities in the game. The Special One is making the news for the controversial gestures he made at the Juventus fans after Manchester United snatched a late victory at Allianz Stadium against the Old Lady. 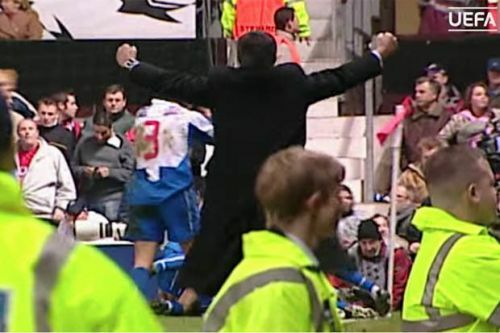 It's not the first time Mourinho is making the headlines for his on the field antics. Let us look at five instances when Jose Mourinho shocked everyone by his exasperating behavior. It was Sir Alex Ferguson's Manchester United versus Jose Mourinho's FC Porto in the round of 16 in the 2003-04 season of the Champions League. Porto were leading the tie 2-1, after a victory in Portugal. In the reverse fixture, it was a Paul Scholes goal that had given the Red Devils the lead, and it looked like Manchester United would go through on away goals. In the dying minutes of the game, Costinha scored a goal that restored Porto's overall lead and helped them knock Manchester United out of the tournament. Even though it was a momentous goal, what followed was a historical celebration from Jose Mourinho. He ran across to corner flag leaving his dugout behind to celebrate the goal with his players. He sprinted to the sideline, on the way punching his fists in delight to celebrate the goal. This celebration created a havoc, and the media regarded that moment as the one when Jose Mourinho introduced himself to the world. 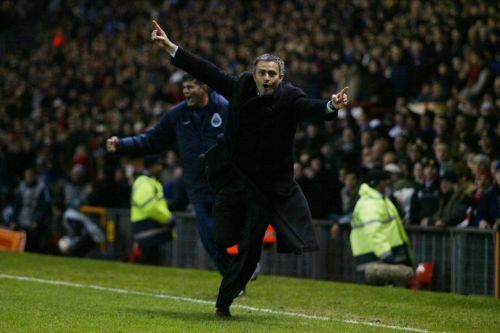 Eventually, Mourinho would lift the Champions League title that season with FC Porto by beating Monaco 3-0 in the final, but this was the first trademark Mourinho celebration that the world witnessed.